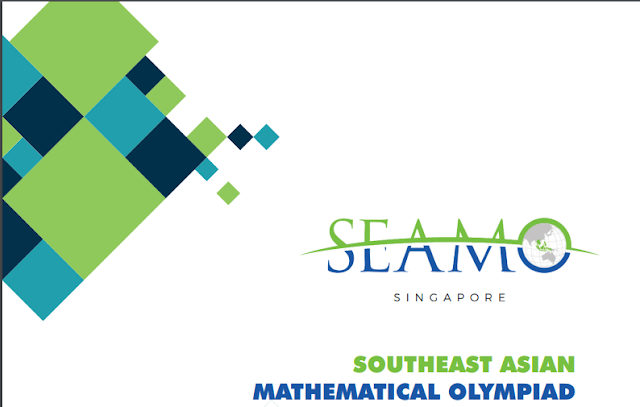 Have you heard about SEAMO,The Southeast Asian Mathematical Olympiad? No, then this post is definitely going to give you much-needed insight here. Now as it’s an Olympiad, it has the purpose of finding the minds which are extra ordinary and can think out of the box. This is first time that SEAMO is going to conduct test in India and the decided date is 6 of August. Students from class 5 to class 12 are eligible for this great Olympiad. The exam will provide students an opportunity to identify and discover their mathematical talents through creative challenges. Now, one other thing that I found interesting here was that the question paper will be prepared at the same time for India as for other countries, so the level of difficulty of both exams will be same. Thus this Olympiad will set a clear benchmark for Indian students about their performance as compared to international students. SEAMO, (SouthEast Asian Mathematical Olympiad) originated from Singapore, is conceptualized and managed by noted mathematician and experts of Terry Chew Institute of Mathematical Olympiad (TCIMO). Last year, more than 40,000 students from across 12 Asian countries like Myanmar, Laos, Thailand, Vietnam, Cambodia, Malaysia, Singapore, Jakarta, Philippines, Brunei, Indonesia, Timor-Leste appeared in SEAMO. Now SEAMO will be held for the first time in India across 55 cities and in more than 100 test centers. If I talk about the benefits of Olympiad, I guess the very first point will be, “Gaining out of the box thinking”. Kids get additional knowledge and competitive spirit. It gives a chance to students to sharpen their skills by tackling a number of problems at a level they are not likely to encounter in their classrooms. SEAMO encourages analytical thinking, as it presents a platform which assesses the logical thinking and problem-solving approach of a student by compelling them to think deeply. SEAMO is a single stage test. It encourages all categories of students to participate; ie good, average, math’s lovers and even those who are not fond of math’s Olympiad. The test has 3 sections; Easy, Moderate & Difficult. 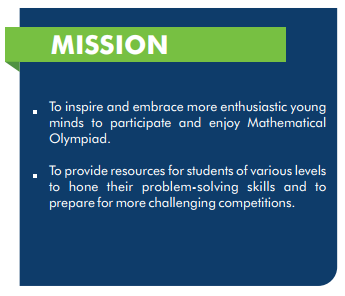 So, even an average student can attempt few questions based on their thinking ability and can get a sense of achievement with participating in a great Olympiad. The test will be of Objective Type. Every question will carry 4 answer options wherein one option will be correct. There is absolutely no negative marking in the pattern. Students would get two ranks: National and International, and Performance Analysis report is given to each student to analyze his/her strengths and weaknesses. · * Offline Mode: Students can fill up the form through their respective school along with the registration fees and/or submit the filled in a form at the nearest registration office mentioned in the brochure. · * Online Mode: You can visit the official SEAMO website i.e www.seamoindia.com; fill up the online registration form and by submitting the registration fees. 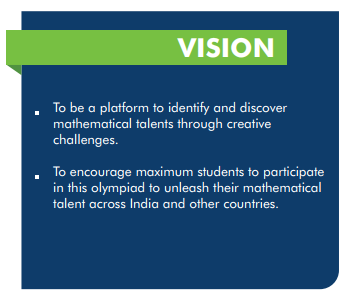 As a math’s lover, I am really looking forward to this Olympiad that is going be organized for the first time in our country. I am not saying that if your kid fulfills the criteria of participation then he/she must take part and this should be the ONLY aim. However, I am more inclined towards the participation of kids. You should encourage your kids for first take part and if they like it then next time they can join it with due preparation. For more details, please visit SEAMO website. This post is written for SEAMO to spread awareness about it's launch in India. This is not a paid post.